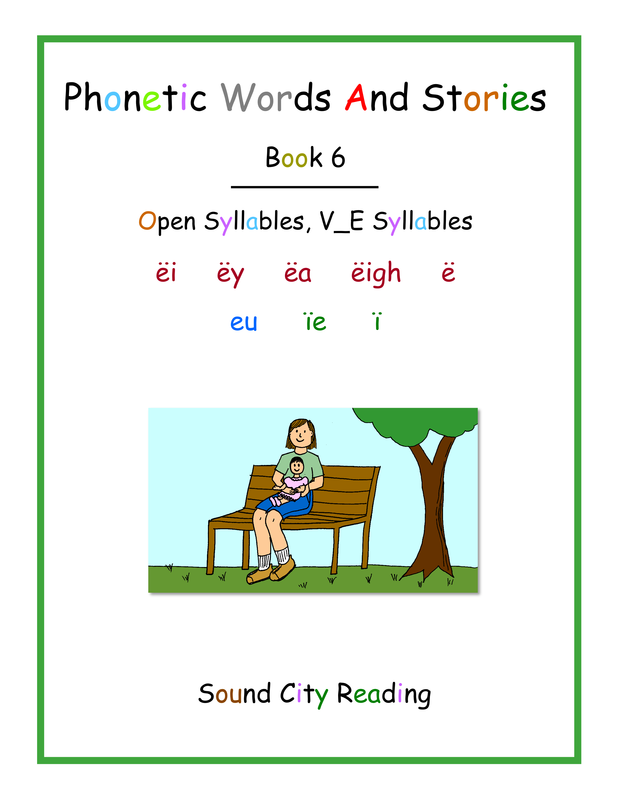 This section provides an overview of the Phonetic Words And Stories books. 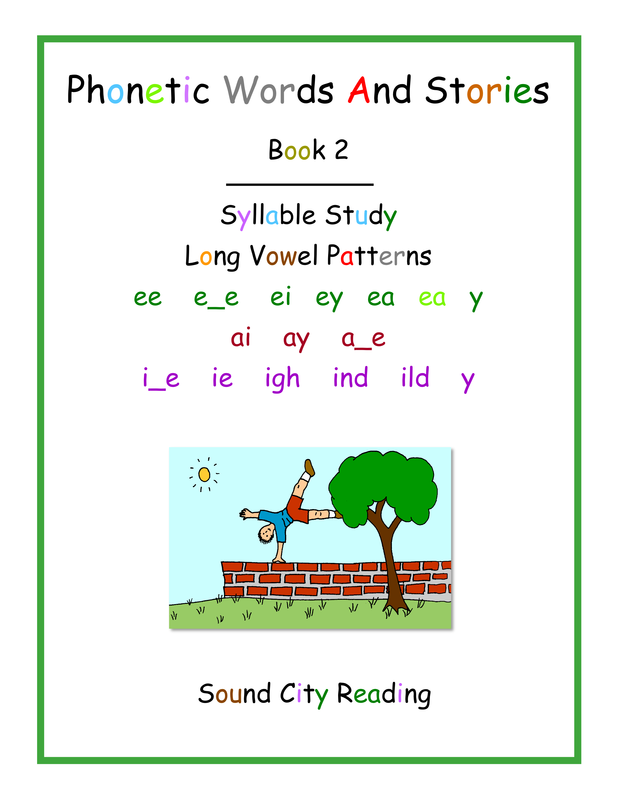 To download the PDF files for these books, look under the PDF FILES menu heading, click PDF FILES - BOOKS LISTED BY LEVEL on the sub-menu, and then click on PDF FILES FOR LEVEL 4 - PHONICS PATTERNS BOOKS 1-8. Or, for a shortcut to that page, click here. 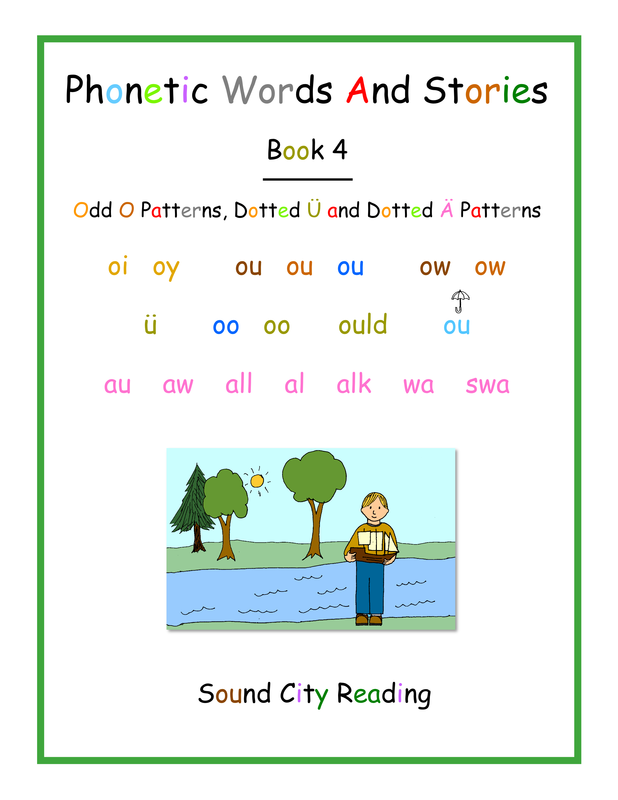 Use with beginning readers and older students who need to develop word recognition skills. Also works well with students who do not speak English as their first language. 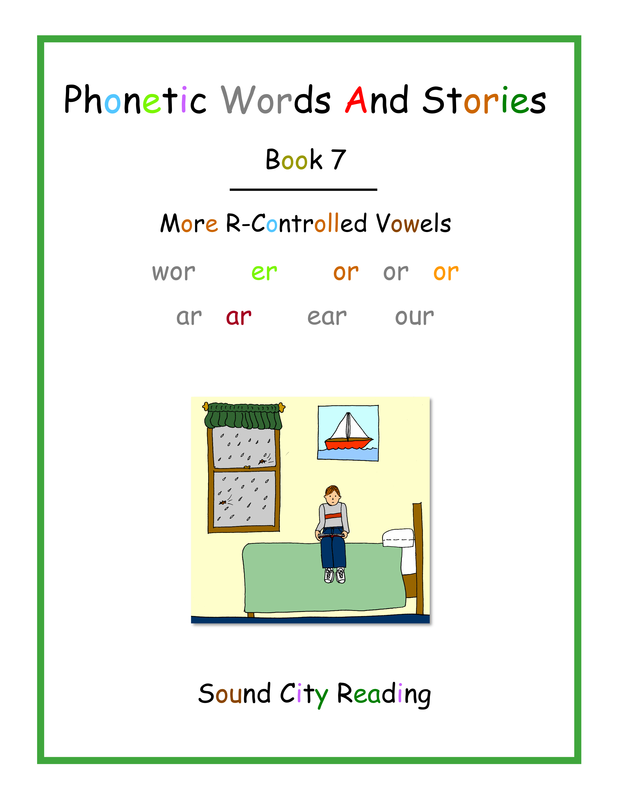 The Phonetic Words and Stories books may be used after students have learned to read short vowel words. 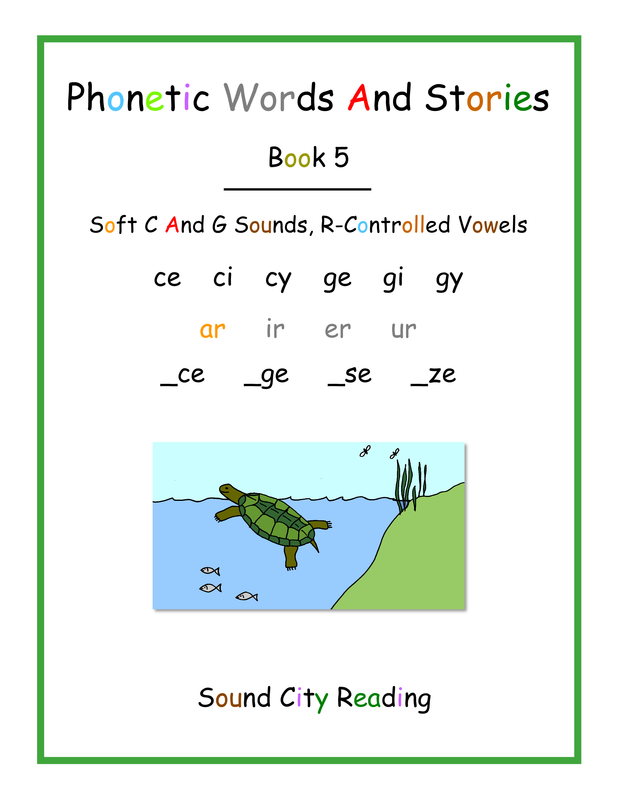 They work well with beginning readers and also with students who are already reading but need more practice to strengthen their spelling and decoding skills. This set of books has the largest print. 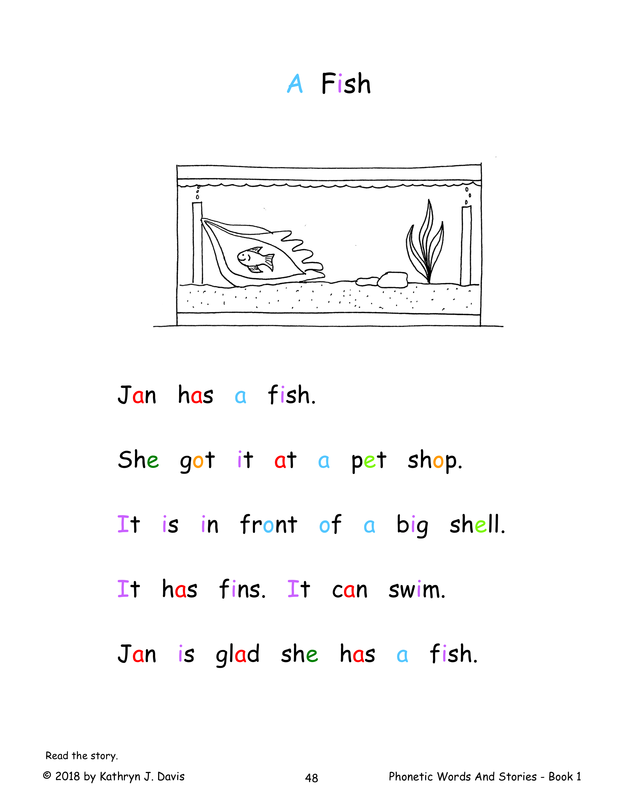 Many students are able to learn more easily when the text for the initial instruction is large enough. 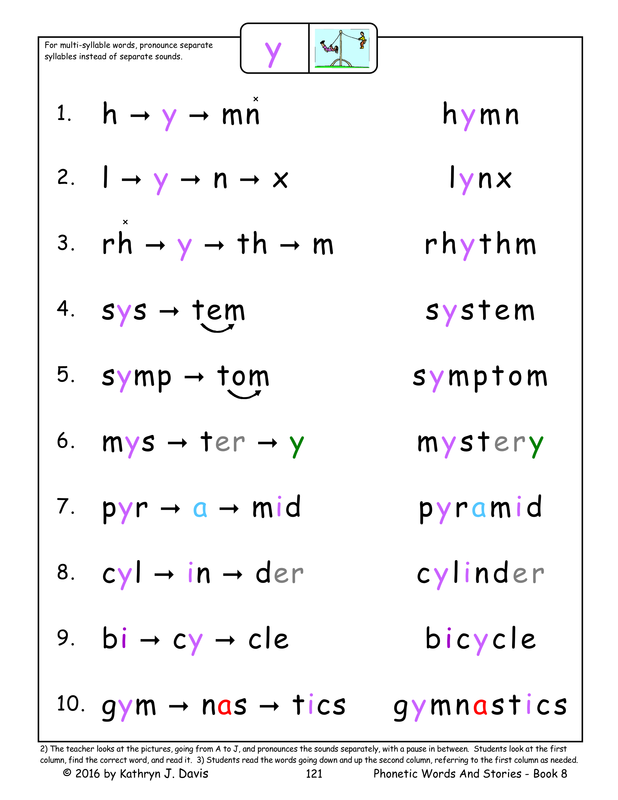 Each new pattern is taught with a set if ten color-coded words. This gives enough practice for each new pattern without being overwhelming. 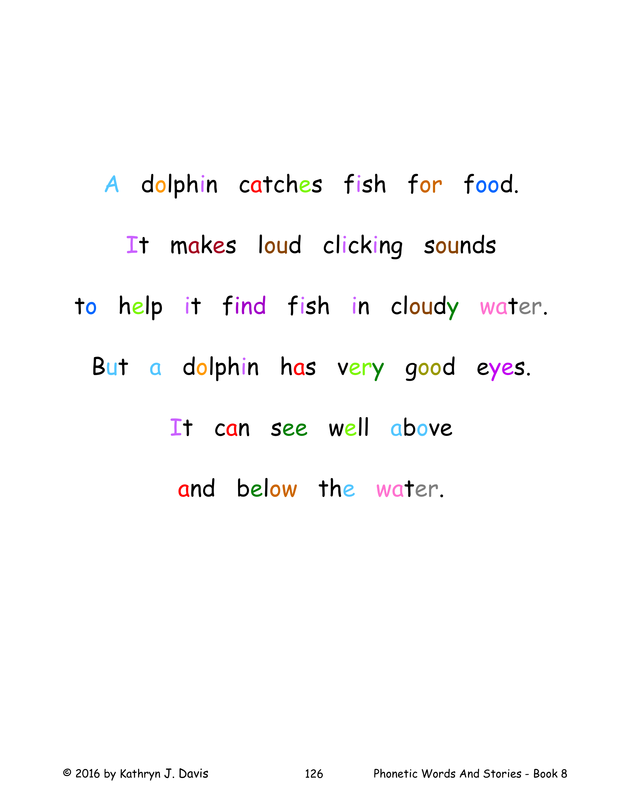 Each vowel sound is printed in a different color. 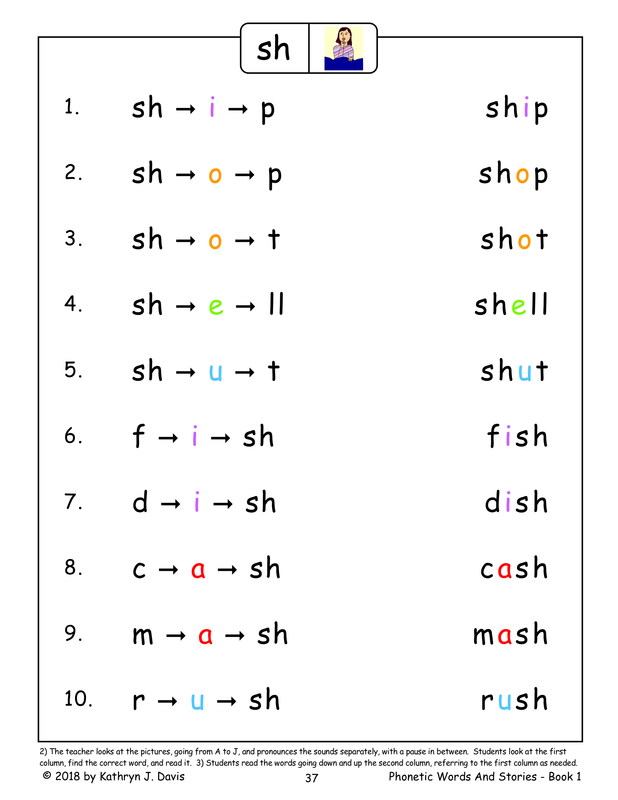 This make the vowel pattern "pop out" within the word so the students can see it clearly. 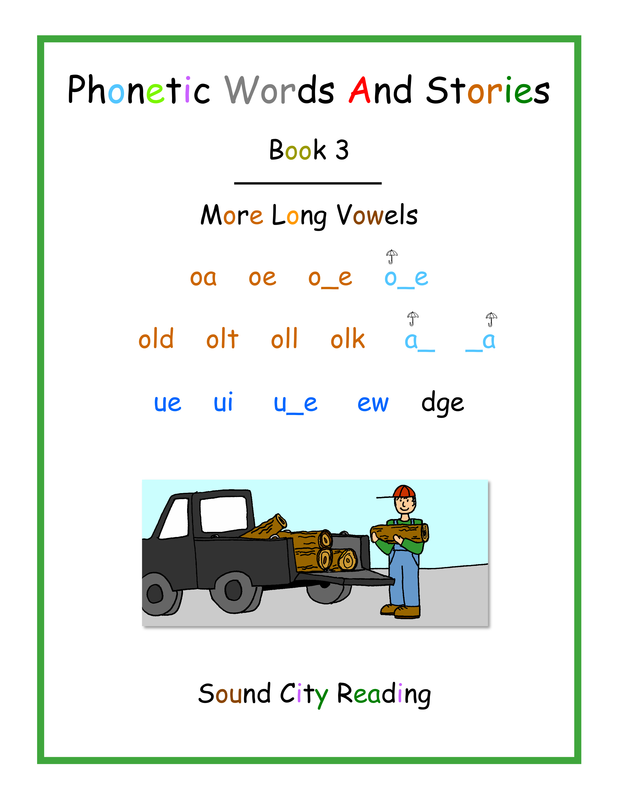 The colors provide a cue to help students remember the vowel sound. 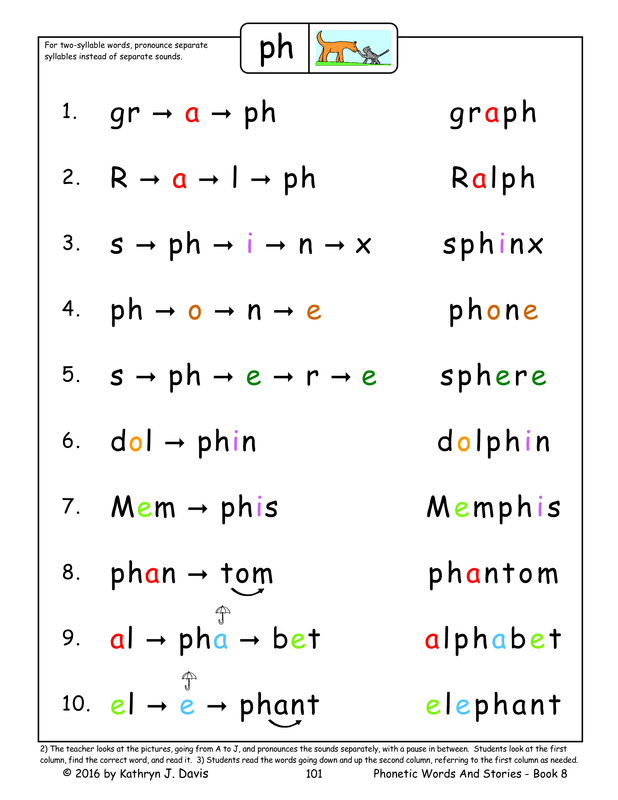 For example, each short vowel is printed in a specific pale color. The related long vowel is a darker shade of the same color. 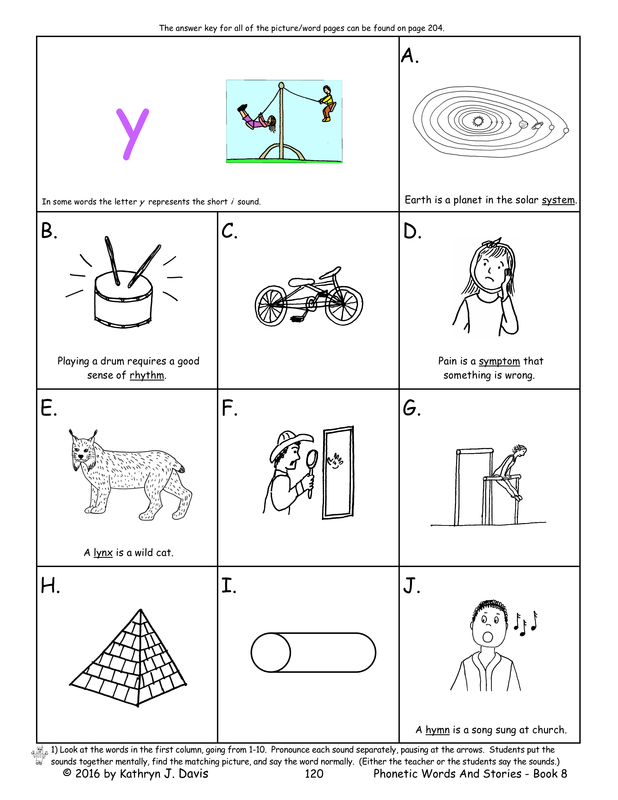 ​The colors help students organize their thinking as they learn new patterns. Patterns that have the same sound are printed in the same color. For example, the ai, ay, and a_e patterns are all printed in a dark red color. 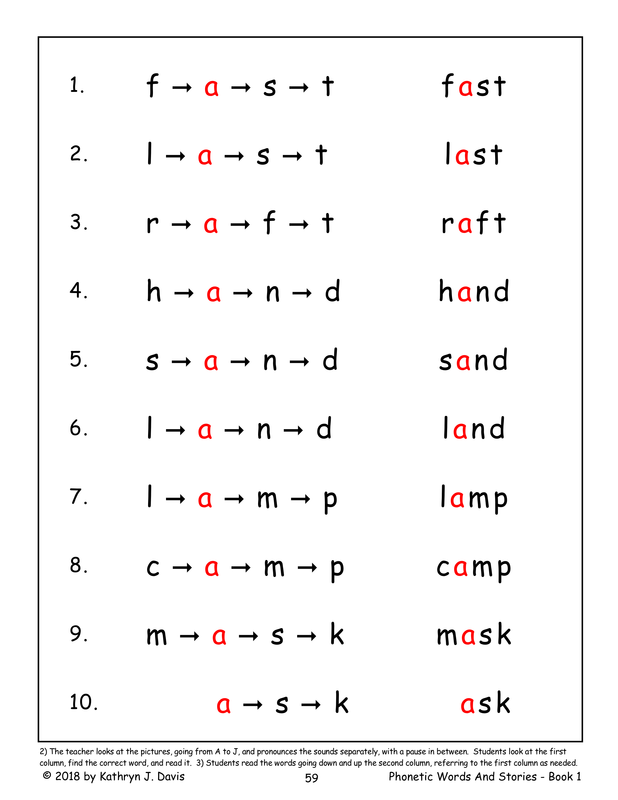 Sometimes one pattern can show two or more different sounds, and the color-coding is helpful for these words as well. 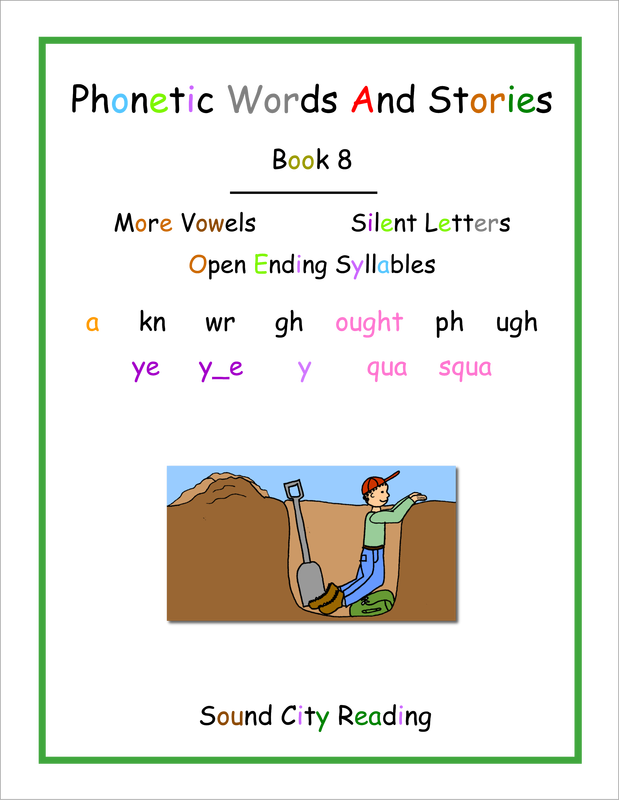 For example, the ow pattern in the word cow is brown, while the ow pattern in the word slow is dark orange to show the long o sound. 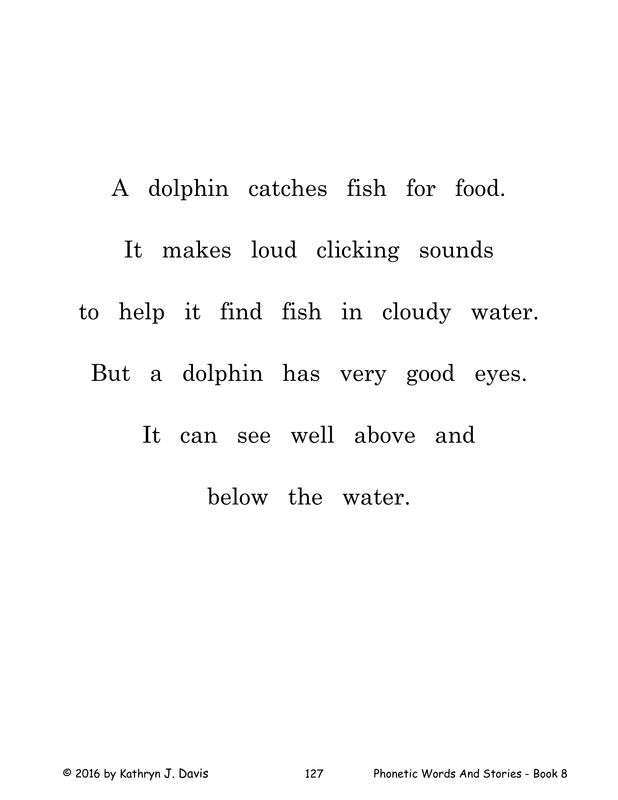 Each set of words is shown with matching pictures on the opposite page. However the words and pictures are not in the same order. 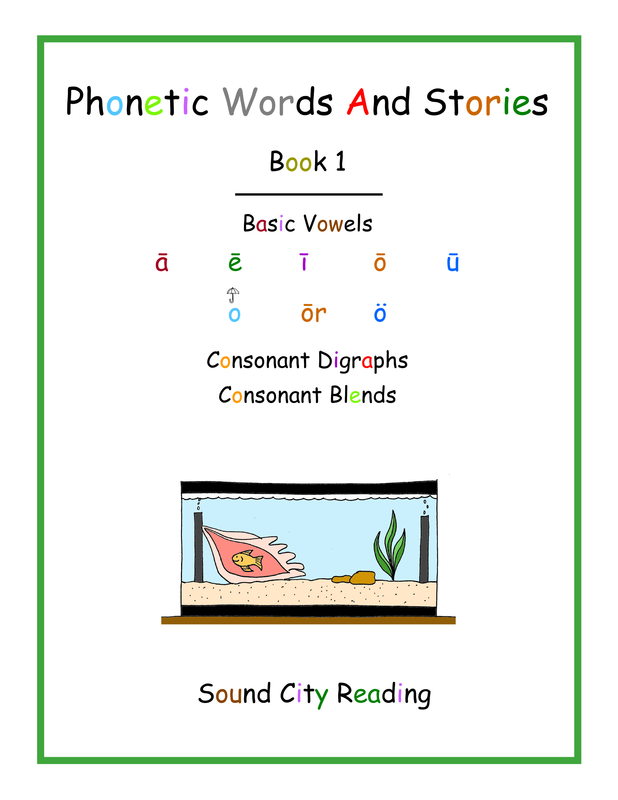 This allows the teacher and students to follow a lesson plan that reinforces phonemic awareness and decoding skills. One of these activities is called the "Robot Game." The activities can be adjusted to the students' current level, depending on how much support the students need as they learn the words. 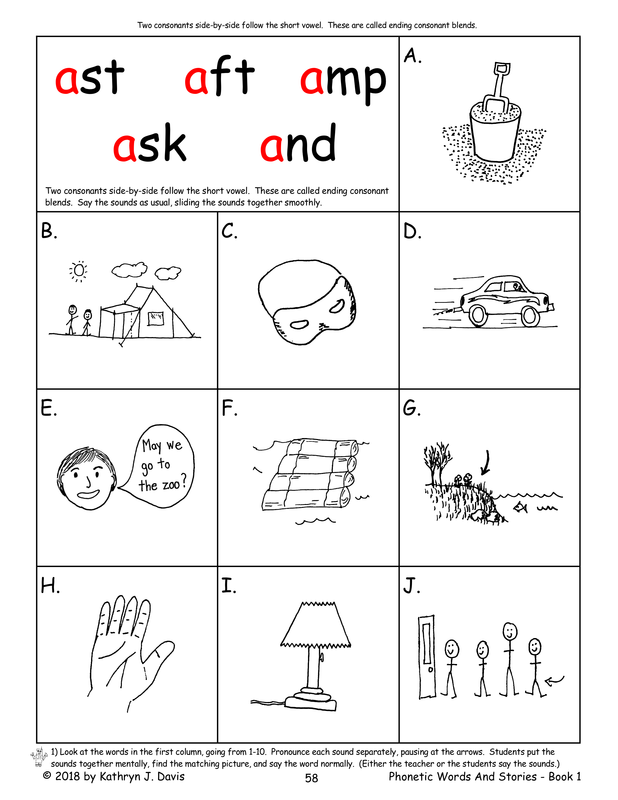 After doing the activities students will usually be able to read the words comfortably. 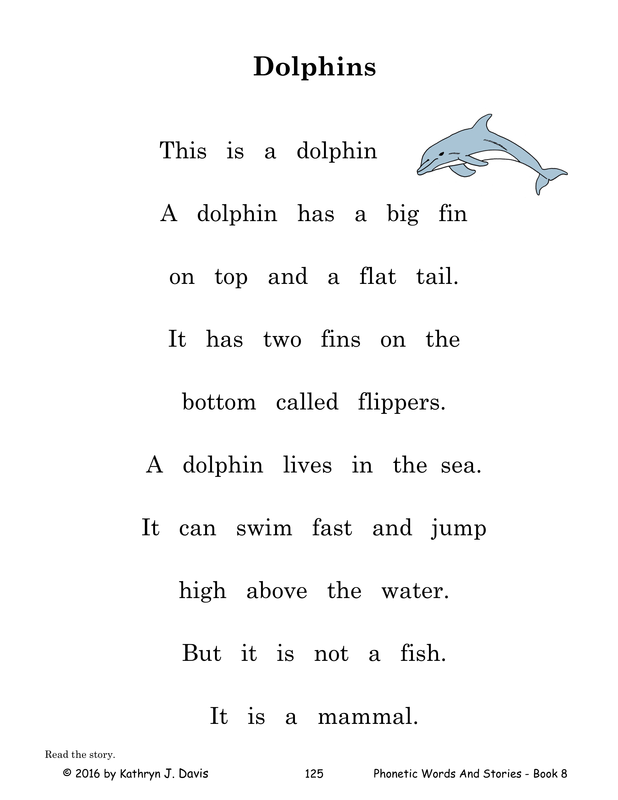 After learning new patterns, students read sentences and simple stories that contain words with those patterns. 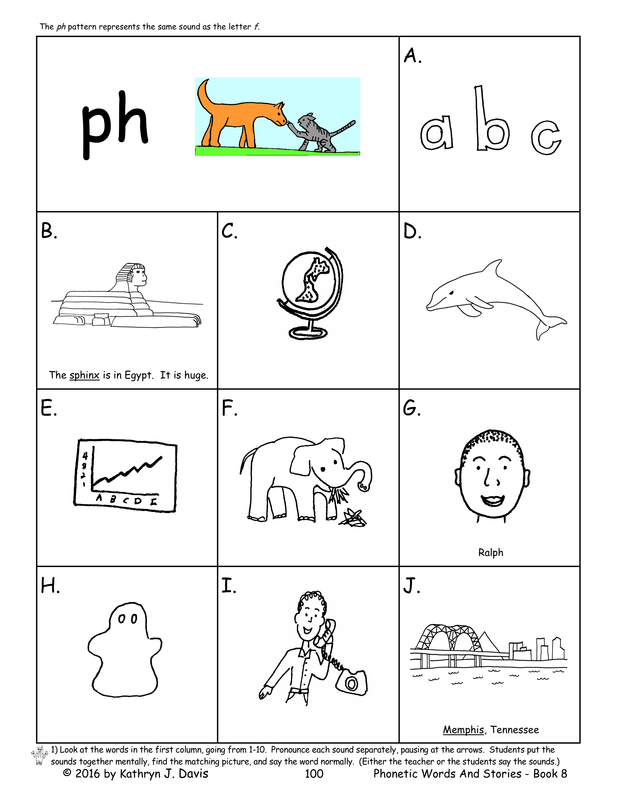 1) Students hear the individual letter sounds or syllables from the first column and find the matching pictures. 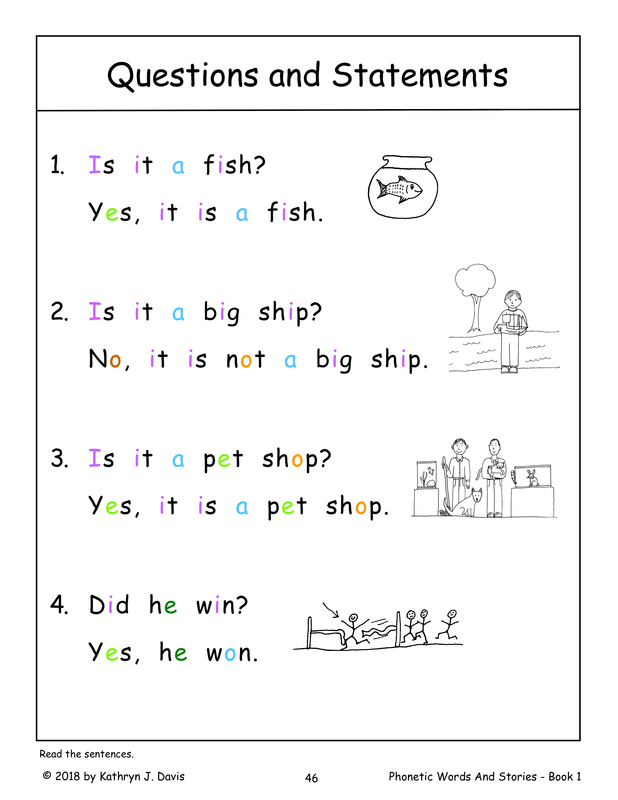 2) Students look at the pictures, and find the matching words in the first column. 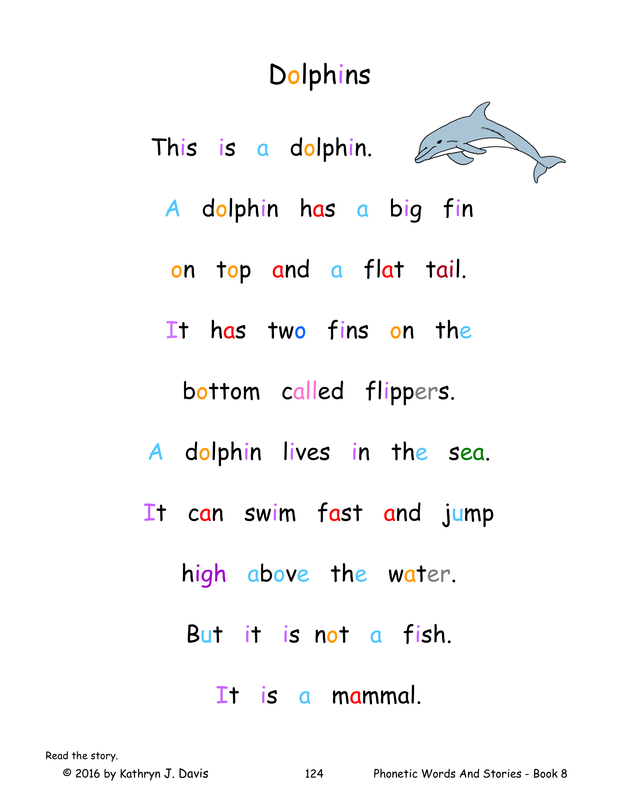 3) Students read the words in the second column. After learning new patterns, students read practice stories that contain words with those patterns.